Home Knowledge Articles What does the human voice add to the customer experience? What does the human voice add to the customer experience? The beauty of real-time voice interaction. Despite what seemed like a cultural shift towards consumer dependence on social media for contacting, reviewing and engaging with businesses, the power of voice is on the rise once more. Technological innovations over the past few years have seen voice technology step up to become much more than just a shortcut to setting morning alarms or checking the weather, with more consumers using voice assistance and making calls to businesses, rather than simply relying on typing queries into their phone. Recent research by Calabrio, for example, shows contact centre call volume up by 39 percent in just the past 18 months. These trends suggest consumers are re-familiarising themselves with voice and developing a preference for speaking rather than typing as a method of communication. 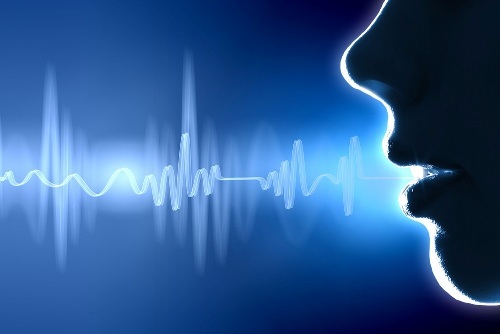 With voice interaction on the rise, we thought it would be a good time to take a closer look at voice - the human voice in particular - as a channel, and the advantages it can offer in terms of deepening customer engagement and improving the customer experience. There is no denying it - picking up the phone and speaking to someone is always going to be faster than waiting for a response to a message or email, and easier than having to type a query. Forbes recently noted, for example, that the average person can speak 100 words a minute, whereas they can only type 40 a minute. What is more, intelligent voice technology helps to facilitate contact, as finding and dialling a number for an organisation is easier than ever. Moreover, the human voice is fundamentally better at communicating tone and emotion than emails or messaging ever can be, making gauging reactions and providing a solution easier. We have all experienced a scenario where written communication has been misinterpreted, or the intent of the individual writing misread. In difficult or sensitive situations – complaint handling, issue resolution or simply dealing with complexity – emotions can run high and understanding tone and emotion adds significant value to the customer experience. "It's quite difficult to watch for more than a few minutes. It's very flat, very single-paced, it's not got rhythm, pace or emphasis." Professor Michael Wooldridge, University of Oxford. As this viewer also highlighted, newsreaders in general are highly trusted public figures. When communicating important subject matter, it is critical to gain the trust of your target audience. No matter how sophisticated the AI, nothing does this better than a real human. In the age of artificial intelligence and digital channels, voice contact and a personal human connection is also a powerful way for organisations to differentiate their brand. Using voice contact strategically within your communications approach, using welcome calls for example as the first point of contact to your brand, enables you to make a positive impression and genuine connection when it counts most, so your valued prospects and clients feel listened to and cared for. A human to human connection, either over the phone or face to face, can also provide valuable insight into personalities, motivations and interests, which in turn creates a deeper understanding of how best to meet needs. The beauty of real-time voice interaction is that, coupled with the ability to read tone and emotion, the caller can react and adapt their approach. They can present a bespoke proposition there and then, taking the benefit of personal communication to the next level, particularly in a sales or service scenario. In a world where organisations must demonstrate value to potential clients to win business over their competitors, a personal approach is integral at each stage of the customer journey. Nicole Robertson, Co-Founder & CEO of Swap Society, notes the importance of reaching out to clients personally, using channels that are convenient to them, not just for attracting customers, but to retain them also. “In an age of artificial intelligence and overseas customer service, it's my experience that people really enjoy a personal touch, and to know that I am truly invested in their experience”. Ultimately, it’s a no-brainer: robotic, scripted communication versus personal, relevant communication. Which do you think demonstrates a more meaningful connection? With 28 years+ delivering specialist voice services, from data and research to end to end sales support, including inside sales and account-based marketing, we know what voice can add to the customer experience. If you’d like to discuss how voice-based contact can enhance your sales and marketing strategies, please get in touch.